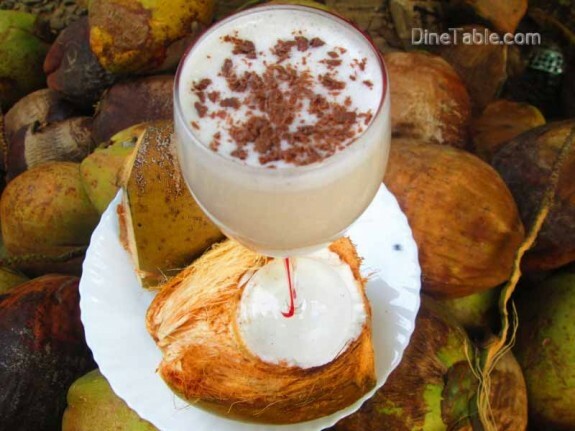 Tender Coconut Milkshake is a refreshing drink which combines the goodness of milk and coconut. 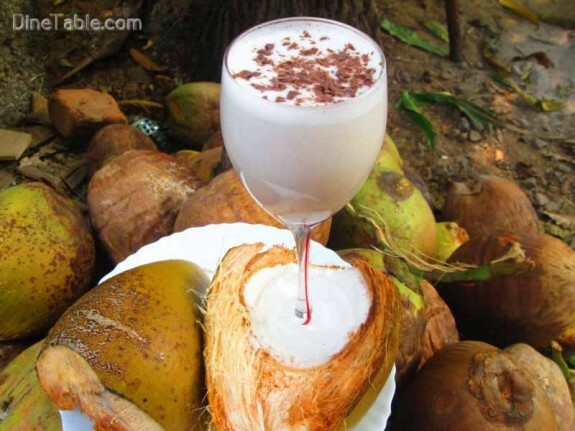 It is a naturally cool and healthy drink made with tender coconut, milk and coconut water. 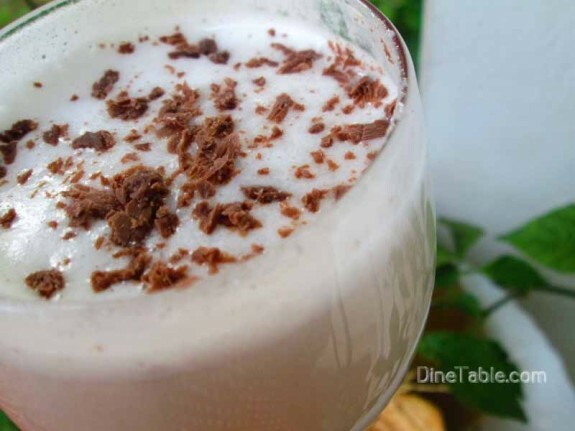 Tryout this yummy milkshake at your home. 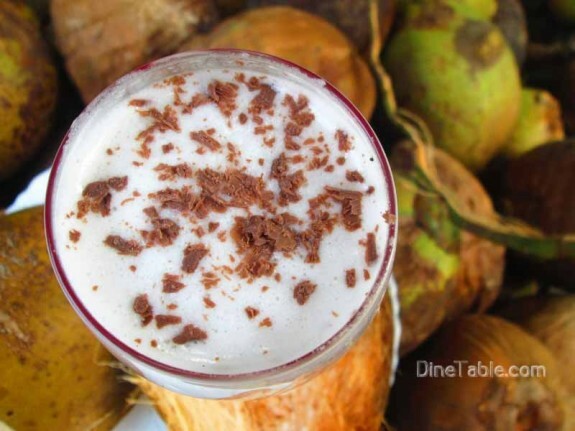 The tender coconut has 90 to 95 percent water. Coconut water helps to prevent dehydration and also relieves tiredness and fatigue by replenishing the natural salts lost by the body when you sweat. 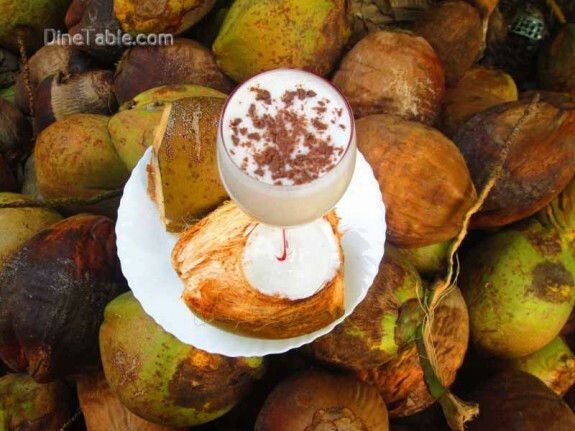 The liquid in the coconut at this stage is at its purest form and very healthy. 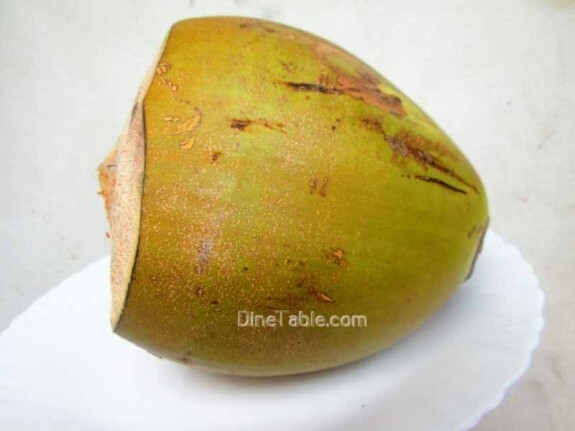 The partially mature coconut has in addition to the water, a soft and tasty pulp. 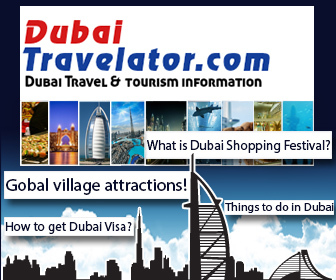 Scoop the tender coconut pulp out with a spoon. 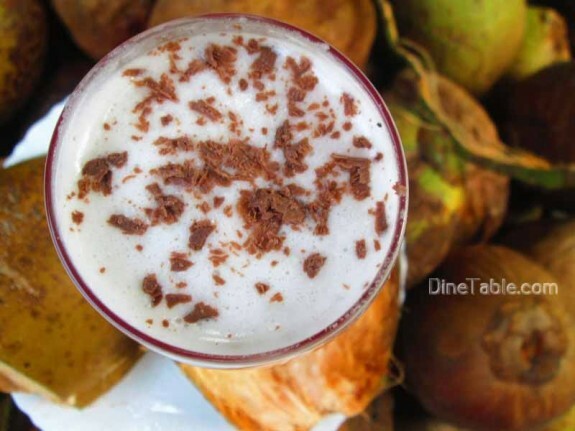 Put the coconut pulp along with sugar in a blender and blend it well until frothy. Then add chilled milk, coconut water into this and blend well. 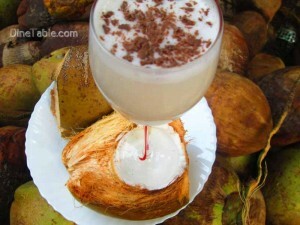 Tasty Tender Coconut Milkshake is ready.